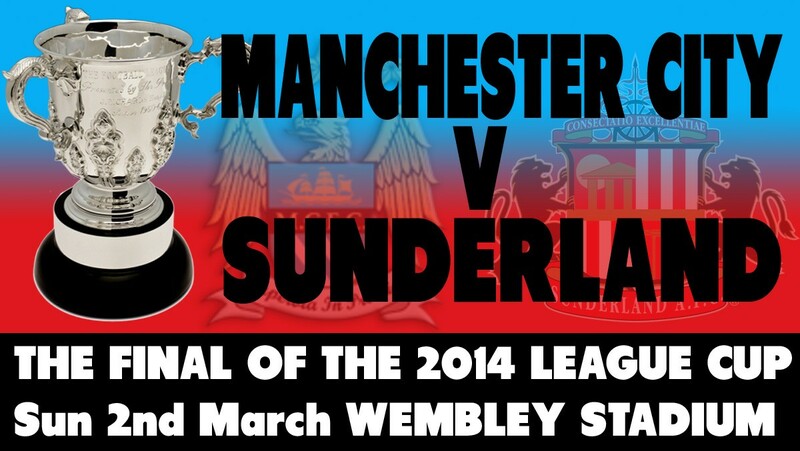 John McCormick writes: in 2014 M Salut began a series called “Countdown to Wembley”. Although the date stamp above says 27th Feb the piece below was actually something he wrote on 27th January, just four short years ago. How many managers since? How many trials and tribulations since? But along with the grief we managed a Wembley appearance and six in a row. In the proud ancient history of Sunderland football club, there have been six top-flight titles — we ought to draw a veil over just how long ago the last of them occurred — and just two victories at Wembley. I missed them all. The first of the FA Cup final victories was in 1937, and even I am not old enough to have been available to attend on that occasion, though I did meet a man on holiday last year – Clive Urquhart, a Newcastle United supporter and our guest for an acclaimed “Who are You?” interview before our 3-0 win at St James’ Park – who still had the matchday programme bought by his father, who was there. For the record, Clive’s dad saw Raich Carter, Bobby Gurney and Eddie Burbanks score in a 3-1 defeat of Preston North End in that season’s FA Cup Final. Also for the record, I may as well lift that veil and acknowledge that it came a year after Sunderland’s last championship season in the Premier League’s predecessor, the old First Division. We naturally played in the Charity Shield games for each season, but one was at Roker Park (won vs Arsenal), the other at Maine Road (lost to Man City). The 1937 final was not the first in which Sunderland had played. All of 101 years ago, there was the chance of a league and cup double. The championship was secured but the runners-up, Aston Villa, won the FA Cup in a match watched by an astonishing crowd of 120,000 at the old Crystal Palace stadium. We could go back to 1895 and mention the grandly titled World Football Championship, the world then deemed to consist of England and Scotland. Sunderland, the English champions, beat Hearts, the Scottish equivalents, 5-3 at Tynecastle. There was also the Sheriff of London Charity Shield, won by 3-0 against Corinthians at White Hart Lane in 1903 and the Football League War Cup, played over two legs in 1942 against Wolves (drew 2-2 at Roker Park, lost 4-0 at Molineux). Leaving aside 1937, Sunderland’s only win at Wembley, the momentous 1973 FA Cup final victory over the formidable Leeds United of Don Revie’s era, is the game I am most sad to have missed in half a century as a supporter. A faithful promise of a ticket turned out to be made not of cast iron but straw. I shrieked with joy in front of the television set at Ian Porterfield’s goal and Jimmy Montgomery’s famous saves and joined the revelries in London that night but would not pretend it was a patch on being there. Time will tell whether, win or lose, I see this season’s Capital One Cup final against Manchester City other than on a screen. The clamour for places will be as feverish as it was in 1973 and I finally gave up my season ticket in 2012 in recognition of the time I spend abroad. My own experience of Sunderland at Wembley has been a sorrier one. I was there in 1985 for the final of an earlier league cup manifestation, the Milk Cup. Norwich City won a dreary match remembered for the friendliness of the two sets or fans, not for what passed for football during the game itself. And both clubs went down. The playoff final against Swindon Town in 1990 was another to pass me by. I was also playing football that afternoon, but in a kickabout on a French farm where I volunteered to go in goal so I could listen to scratchy coverage from Wembley on a cheap transistor. Sunderland lost that one, too, but were promoted all the same because of financial irregularities at Swindon. Next came the FA Cup in 1992. John Byrne had scored in every round as Sunderland again belied league status — a poor season in the former Second Division — to play Liverpool in the final. He couldn’t score at Wembley, Liverpool won 2-0 and my younger daughter, inexplicably and disloyally a Liverpool supporter, waved her flag in my face along Wembley Way. If that was an outrageous display of daughterly defiance, she was — unwittingly — to find salt to rub into a later wound. Having sat with me at Wembley for the promotion playoff final against Charlton Athletic in 1998, more dutifully supporting her father’s team this time, she got it spectacularly wrong after the heartbreaking penalty shootout, immortalised in the title of a subsequent book, And Up Steps Michael Gray. “Never mind, dad,” she said, meaning to console. “At least it was a great game.” I considered stopping her pocket money for life for that, but then remembered she was already 19 and received none. How did I get two tickets for the game? In fact, I had three from a combination of above-board, Sunderland-supporting sources; the spare was gobbled up – face value of course – three hours before kickoff by someone then high up in the SAFC Supporters’ Association London branch. What lies in store for March 2? The script says a City romp. They’re talking of winning everything in sight; Sunderland have the fight of their lives on their hands just to stay up. At Old Trafford on Wednesday night, Gus Poyet’s men played like the home team and actually deserved a draw over 90 or 120 minutes. But, in common with United, they also created very little. Against a much more powerful City side, as Poyet has admitted, they will need to be sharper up front — and still hope City underperform. But who knows? 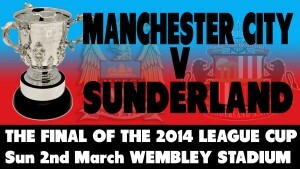 Sunderland must take heart from having beaten City four seasons in a row. When City won the Premier League, Sunderland were the only team to take a point from what is now the Etihad, and very nearly won. A couple of hours before Wednesday’s kickoff, I heard a bookmaker say on the radio that it was possible to get 100-1 on Man City winning the quadruple. The temptation to put an optimistic wager on that eventuality has safely passed; it would be downright immoral — and, with any luck, unwise — to bet against Sunderland.